The covers have been lifted off the all-new fourth generation Mazda 3 in Los Angeles, ahead of an Australian launch in mid-2019. Once again, five-door hatch and four-door sedan models will be produced, with each looking surprisingly different. 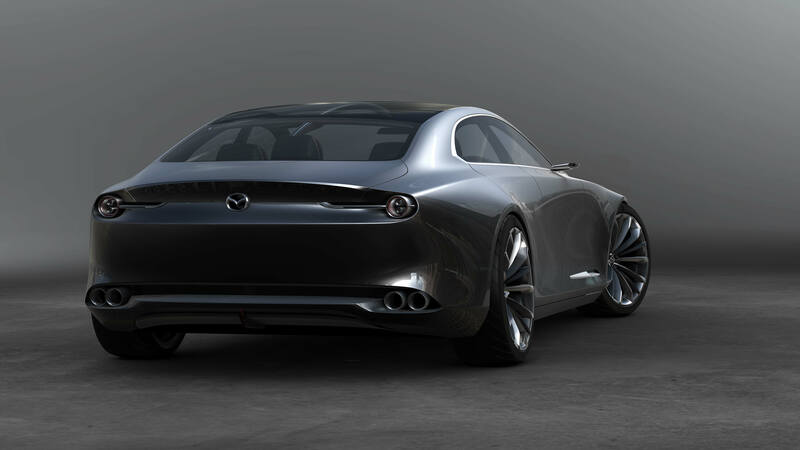 The hatch is heavily inspired by the 2017 Kai concept, while the sedan takes design cues from the Vision Coupe concept revealed at the same time. Inside, both 3 body styles take heavy inspiration from the Kai concept, with a driver focused design. In front of the driver is a semi-digital gauge cluster – meanwhile in the centre of the dash there’s a new 8.8-inch freestanding colour display running Mazda’s MZD Connect infotainment system, which can be controlled via a rotary dial in the centre console. Three upholstery colours are available: Black, Greige (grey and beige) and Burgandy (hatch only). 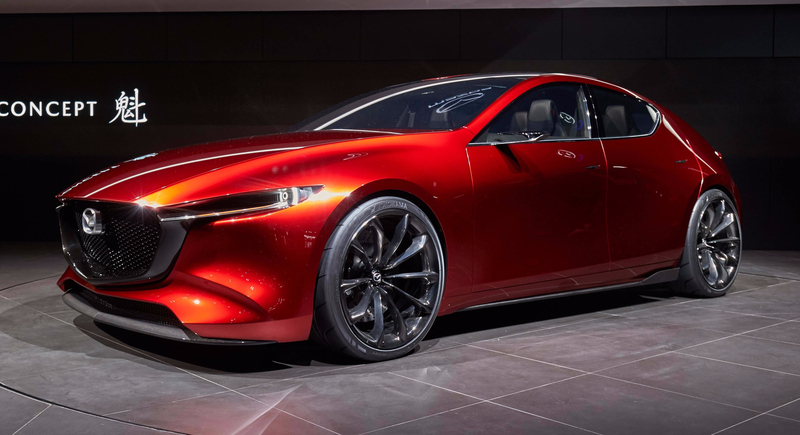 Mazda has incorporated a new ‘two-layer’ structure to the car’s firewall – it leaves space between the carpet and body, which provides additional noise suppression and improves NVH. If that’s not enough, an eight-speaker sound system comes standard, while a 12-speaker Bose system can be optioned. An array of new safety and driver assistance systems feature on the fourth-gen Mazda 3, including adaptive cruise control that can stop, go and control steering in traffic jams, front cross-traffic alert (used in intersections) and driver fatigue monitoring. The new Mazda 3 is available with a choice of engines – the range consists of 1.5-litre, 2.0-litre and 2.5-litre SkyActiv-G naturally aspirated petrol engines, a 1.8-litre SkyActiv-D turbo-diesel engine, and Mazda’s fancy 2.0-litre supercharged SkyActiv-X petrol engine with spark-controlled compression ignition and 24-volt mild hybrid technology. No outputs have been detailed, however they’ll be available with a choice of a six-speed manual or six-speed torque converter automatic gearbox. The front wheels are driven as standard, however an all-wheel-drive system is available for the first time. Mazda 3 interior trimmed in Greige. Under the skin, the outgoing model’s independent multi-link rear suspension setup has been replaced by a torsion beam one, in a bid to improve comfort and cabin noise. The 2019 Mazda 3 hatch and sedan land in Australian showrooms in mid 2019, following a public debut at the Los Angeles motor show next week. Mazda 3 hatch finished in Polymetal Gray metallic.